We've talked about how handy it is to have a portable charger numerous times here at AP (I even recommended one in this year's Holiday Gift Guide). 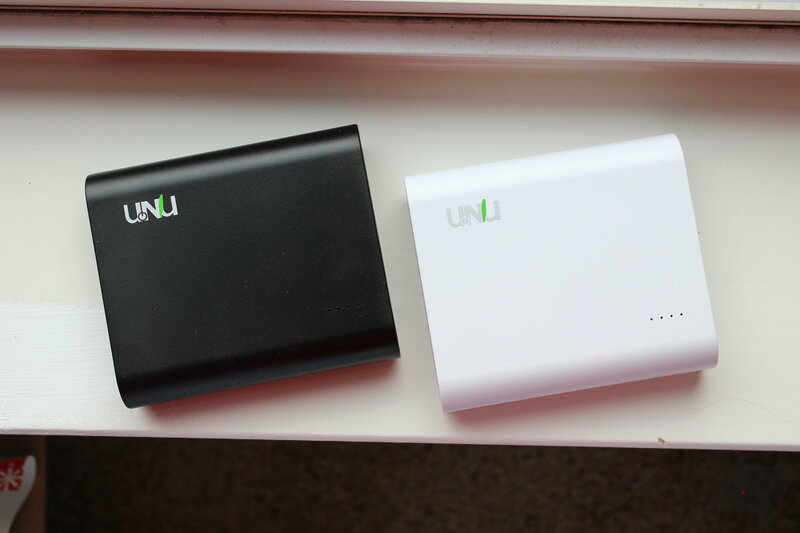 I've personally tested several different chargers over the last few years, so I've seen them go from $125 for 6,000mAh down to entries like the one we're looking at today – the Unu Superpack – which offers 10,000mAh for just $40 (on Amazon). Given the price point of the Superpak, I didn't really have the highest of expectations for it. Turns out I was selling it short right out of the gate, as this is a fantastic little charger – not just for the money, but in general. Let's take a closer look at it now, and then we'll get into the giveaway. Buying the right portable charger can be a tricky task – spend too little, and you get crappy build quality and/or battery. Spend too much and you're not getting enough for your dollar. Finding that balance between the two can be a tricky task, but I think the Unu Superpak nails it right on the head. It's pretty dang compact for its rather reasonable 10,000mAh battery size, offers two charging ports (2.1A and 1A, both at 5V), an easy-to-read indicator light system, and a nifty 2.4A input that allows it to be juiced up twice as fast as other chargers. It also comes with its own charging cable that can handle both microUSB and Apple's Lightning adapter without the need for two separate cables. 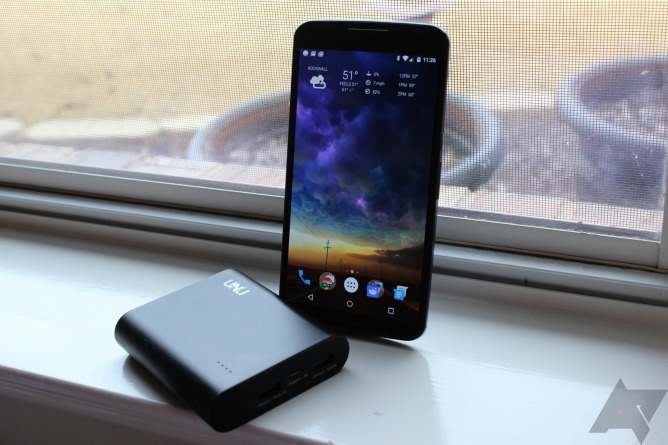 I dig that a lot, as it's perfect for those who own both Apple and Android products. The Superpak clocks in at about 248 grams, which is just slightly heavier than most modern smartphones (the Nexus 6 is 184 grams, for example). It's 3 inches wide, 3.5 inches tall, and about three-quarters of an inch thick. 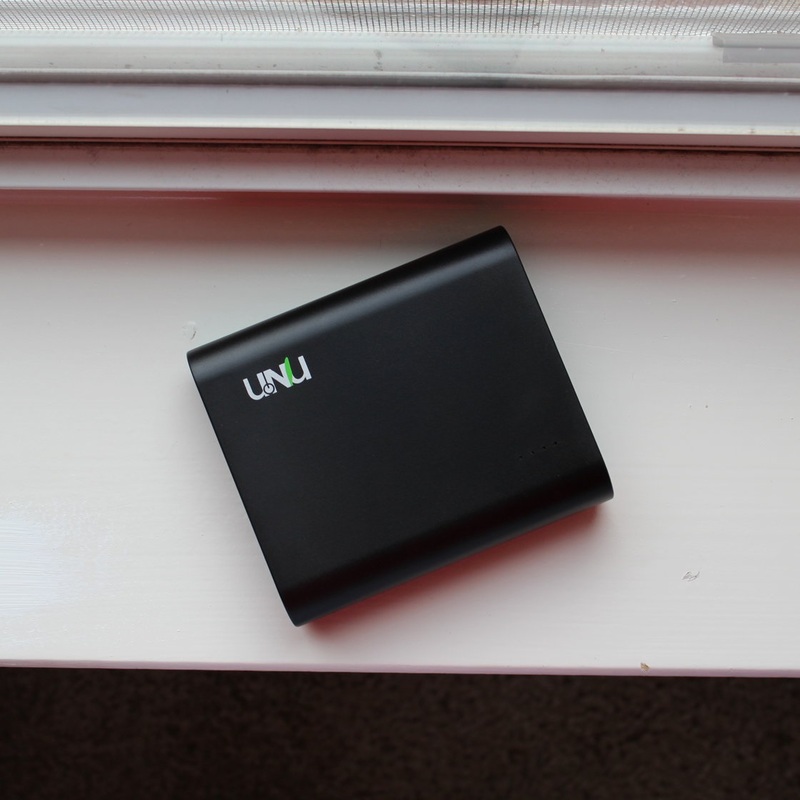 All in all, it's a very small box for all the power under its hood; in fact, Unu claims it's the smallest 10,000 mAh charger on Earth. I don't feel like disputing this claim, so I'll give it to them. It's small, lightweight (for what it is), and packs enough juice to charge basically anything in your bag at least once. 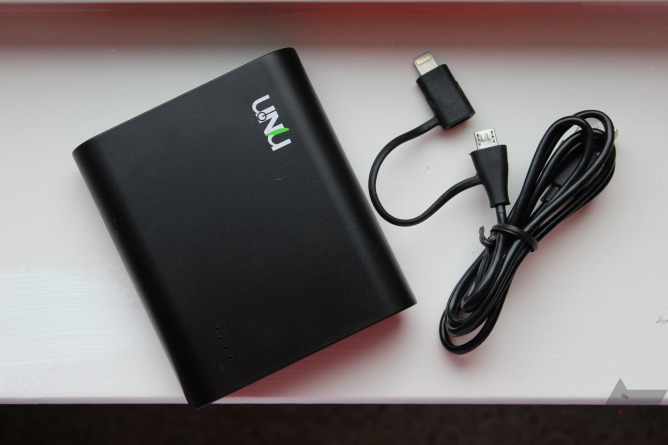 And when it comes to charging, I was actually surprised at the speed in which it works – there's essentially no difference between using the Unu and a standard wall charger (unless we're talking about a quick charger, which is completely different). Of course, I was using the 2.1A charger; when using the 1A charger (or both at the same time), it will be quite a bit slower. 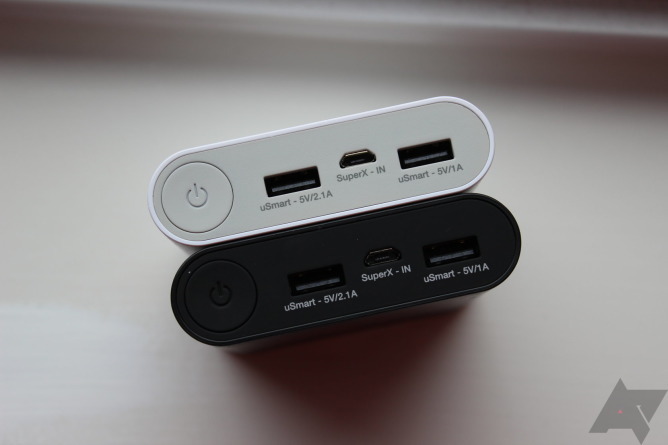 If you've only got one thing to charge, though, the 2.1A port gets the job done quickly and efficiently. It's also worth mentioning that there are two versions of the charger: white and black. They both have a nice matte finish (thank God), which keeps the unit looking sleek and not full of fingerprints. Which one you go with just depends on which color you prefer and nothing more (though I'm personally partial to the white). One final thing before we start handing these badboys out: Unu has a cool program that allows users to essentially beta test its products and report back with their thoughts. It's called "U-Try," and they're currently looking for testers. You can find out more and/or sign up here using the invitation code AndroidPolice. Check it out. With that, we have 20 to give away – 10 white and 10 black. Let's do it! To get your name in the hat, just do the stuff in the widget below. This one will run until Monday, December 15th at 11:59 PM PT. Good luck!